Hot Purple Energy is excited to announce its partnership with Bank of The West for the 2018 BNP Paribas Open in Indian Wells, CA. 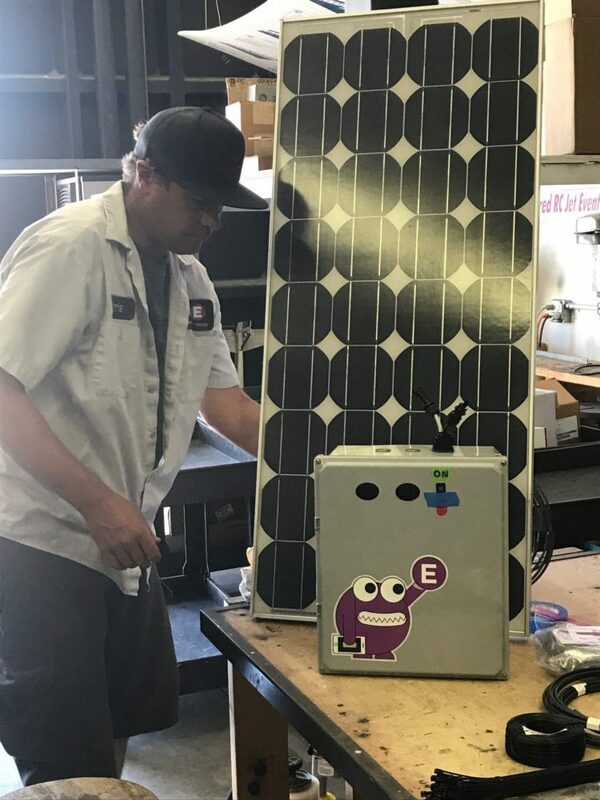 A leader in solar power and off grid battery backup, Hot Purple Energy will be solar powering the Bank of the West Photo Activation booth as well as 8 ATM locations within the tournament. With its Energy Does Not Offset Ugly moto, Hot Purple Energy was the perfect partner to add this renewable but often cumbersome power source to the discerning tournament and beautiful setting. In the end, no Solar Panels will be visible to the fans, but rather back of house solar arrays will keep the panels out of site, but hopefully not out of mind. HPE’s lithium ion solar battery storage packs will be charged and swapped daily to power the ATM’s. To finish the aesthetic solar power integration to the tournament, the HPE battery packs will be hidden within the wastepaper recycling cans adjacent to the ATM’s. Bank of the West will be providing their clients with renewable solar powered money and a place to discard their receipts while seamlessly integrating them into the design scheme and incredible aesthetic experience that is the Paribas Open.